- A set of three tumbled aventurine gemstones. 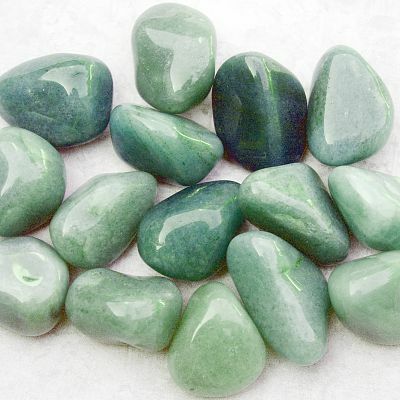 Stones will vary in size and shape, but most are in the range of 3/4" to 1 1/8". 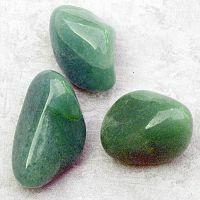 Aventurine is an excellent all-purpose talisman. It is associated with prosperity, good luck, friendship, imagination, good health, happiness, and success. Do you have any other questions about our Green Aventurine?